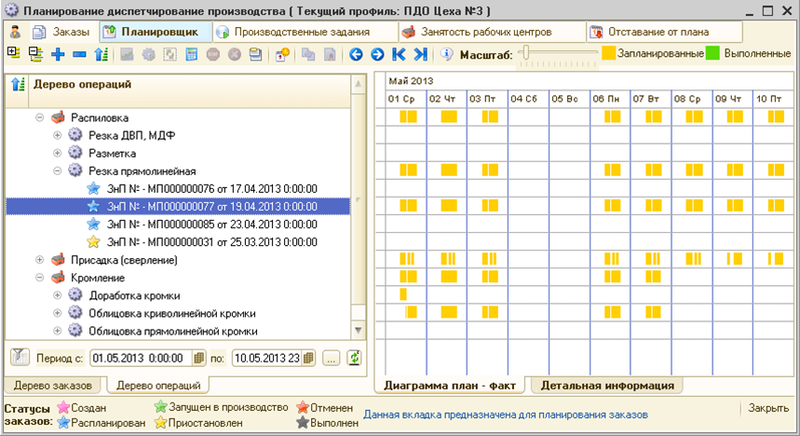 What questions will the PMO system answer? 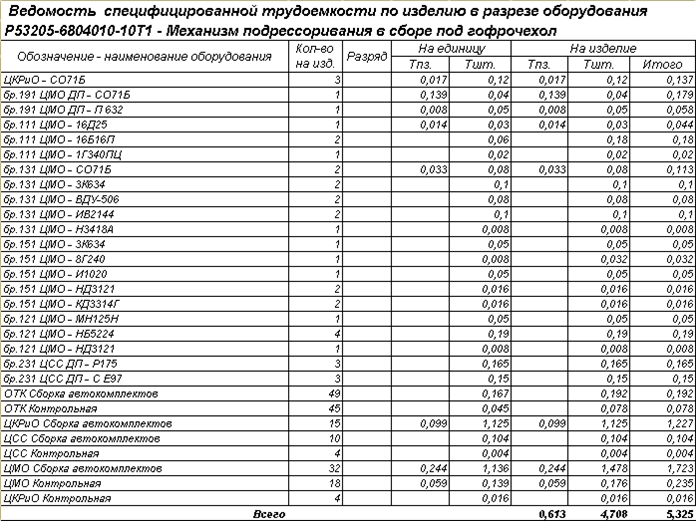 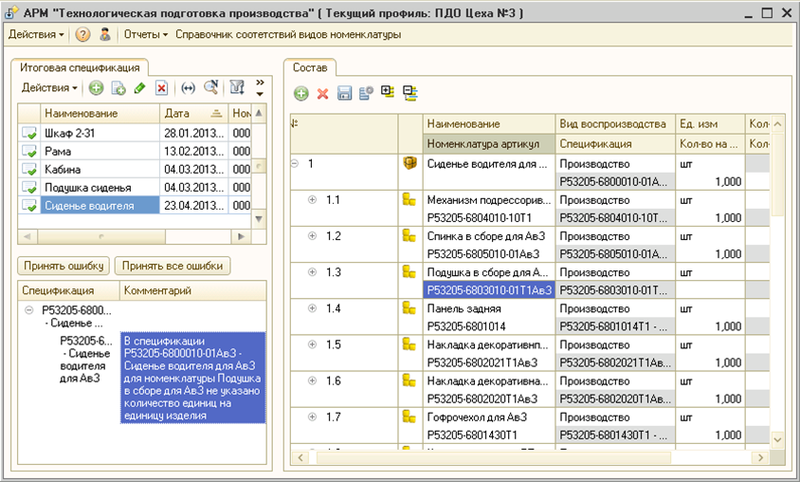 What are the planned dates of the production program, how to manage them? 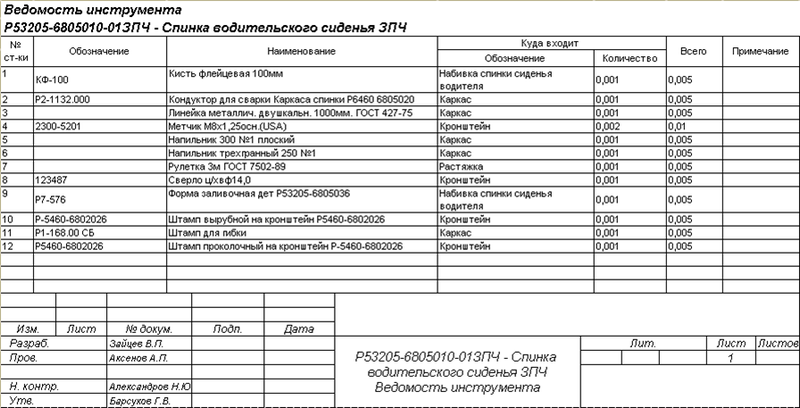 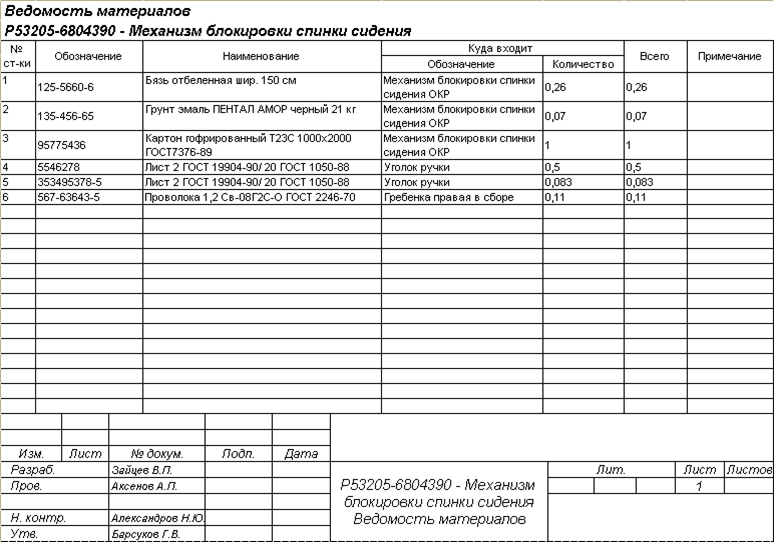 How to plan the dates of shipment of finished products? 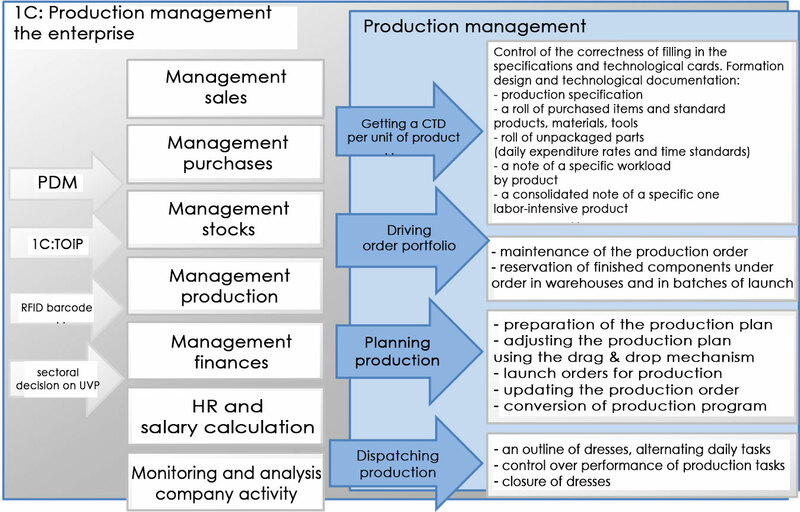 Where are the bottlenecks or unused production facilities? 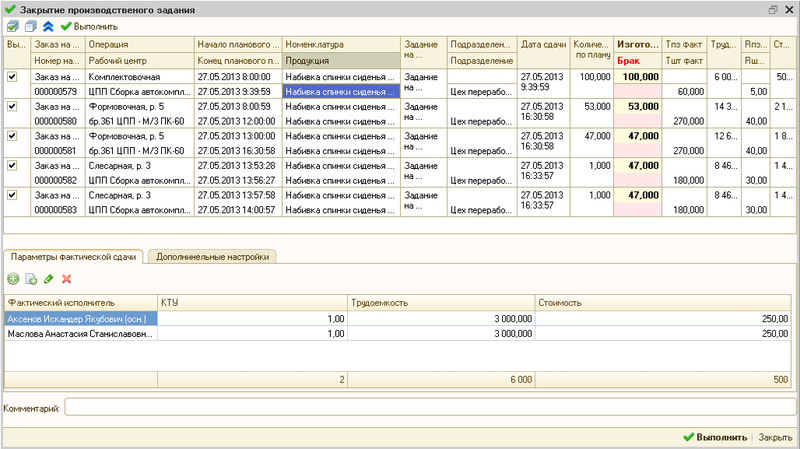 How to optimize production cycle time and inventory levels? 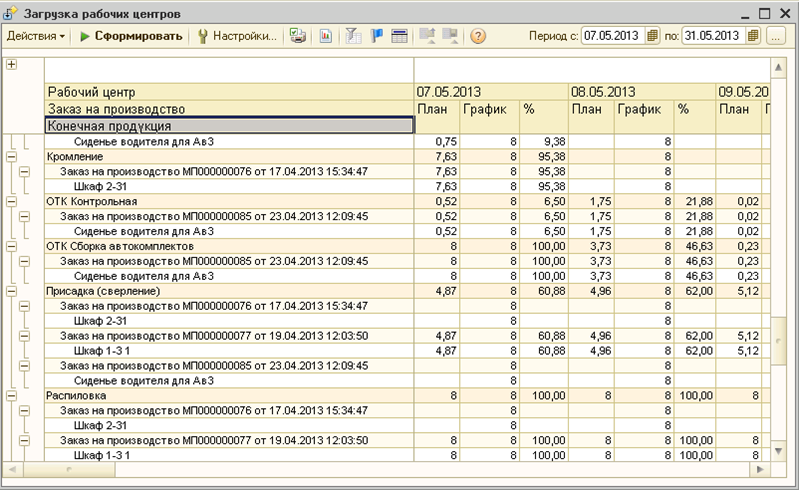 How to manage orders for existing resources and production capacity, with their current load? 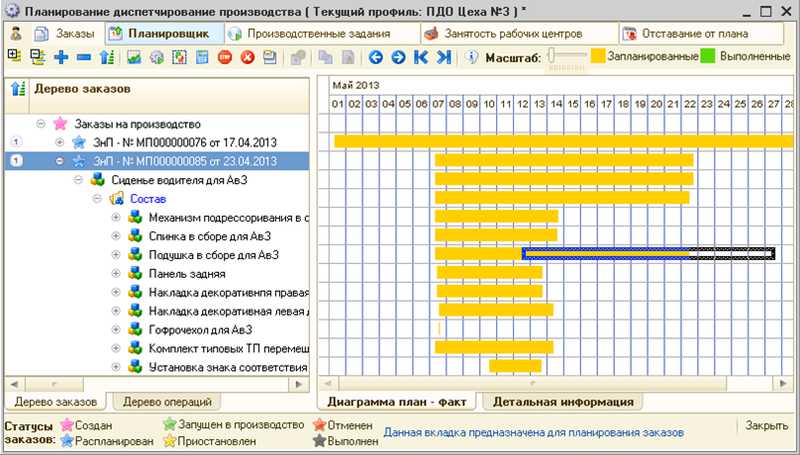 Is there a delay in the implementation of the production program from the planned dates? 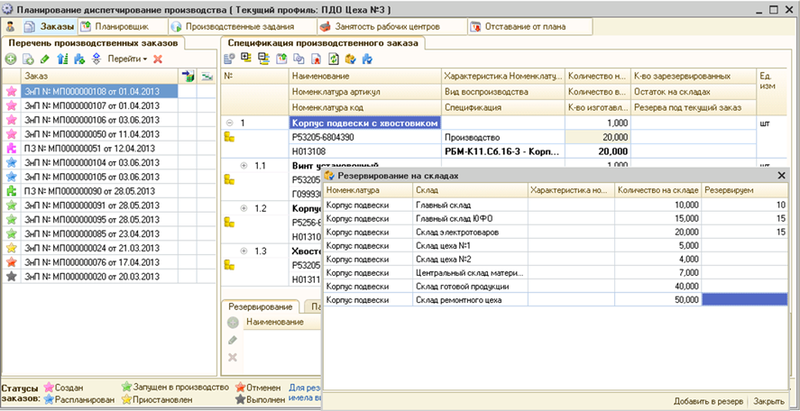 How to understand the readiness of the production program in the context of orders, components and assemblies? 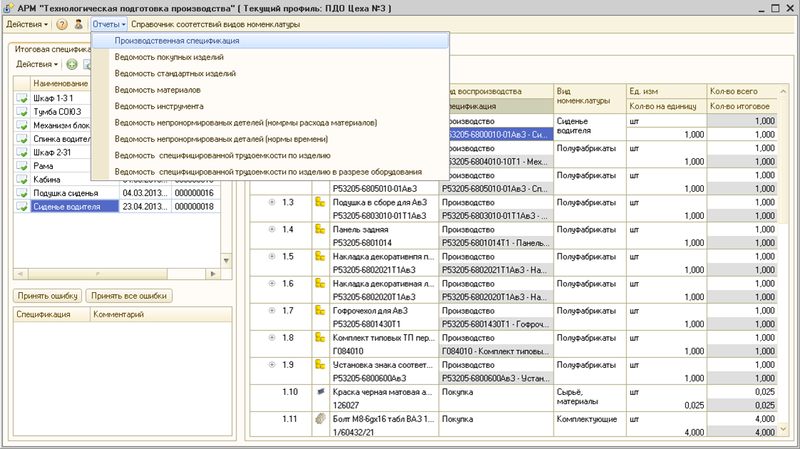 Operational control of the readiness of components and assemblies. 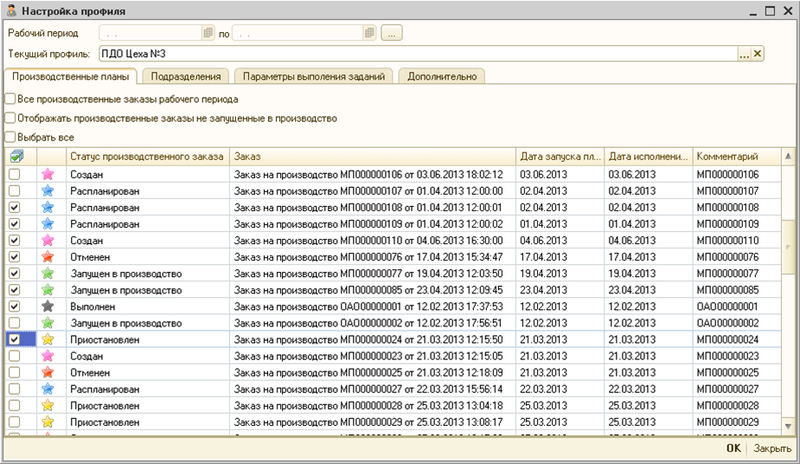 Order statuses. 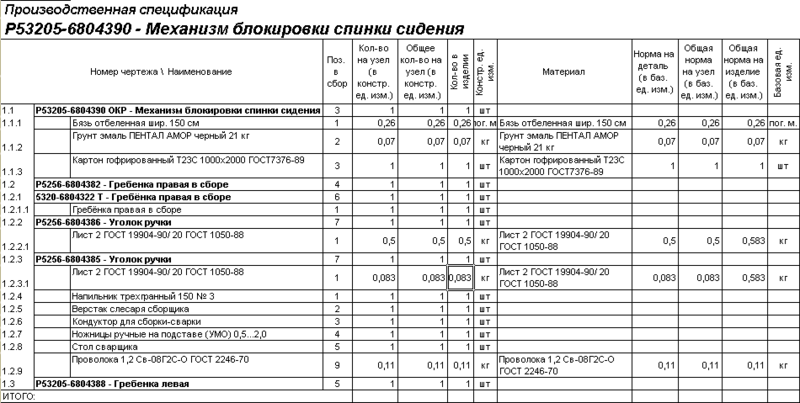 Specification of production order. 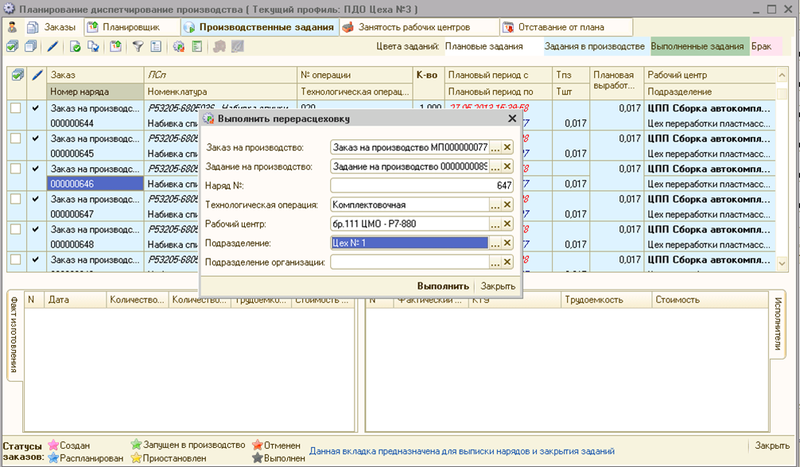 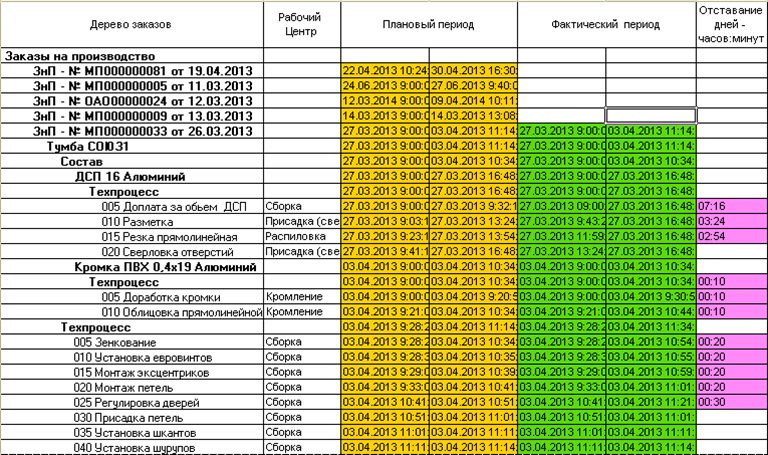 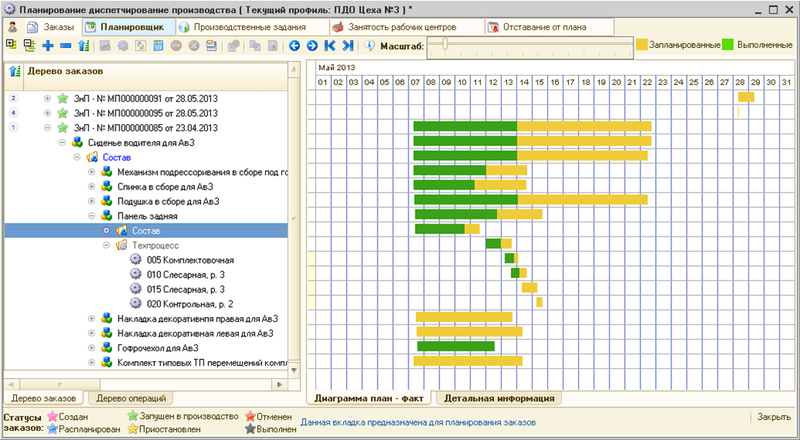 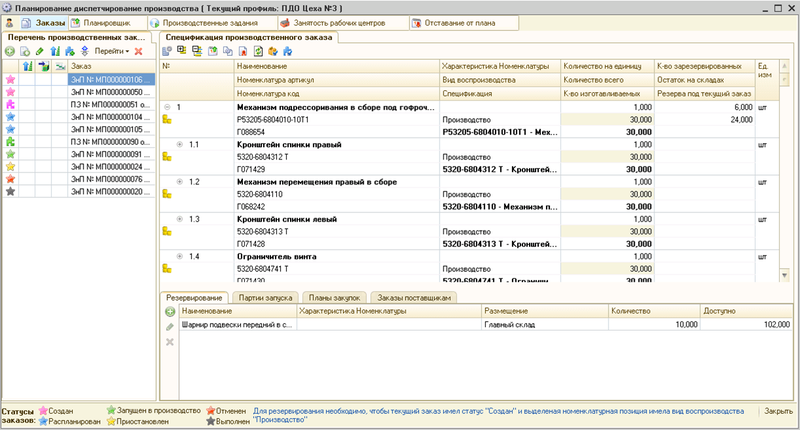 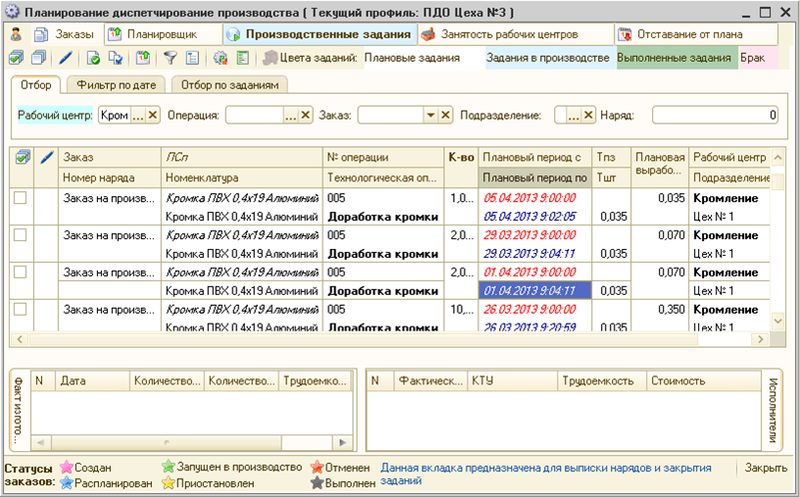 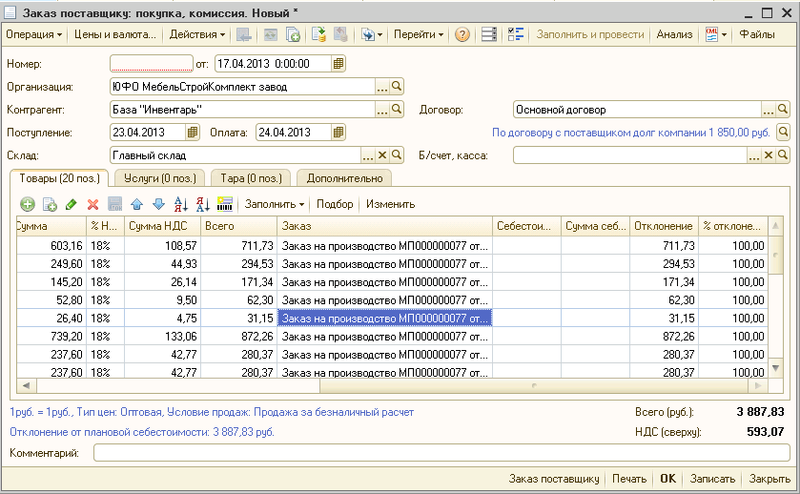 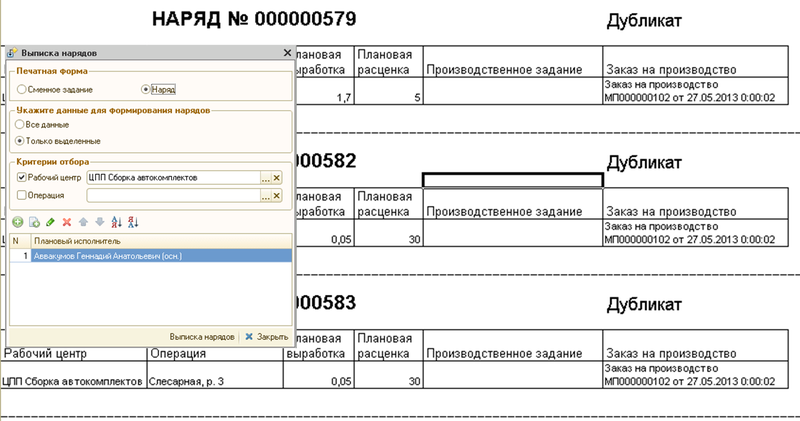 Adjustment of the production plan on the Gantt chart. 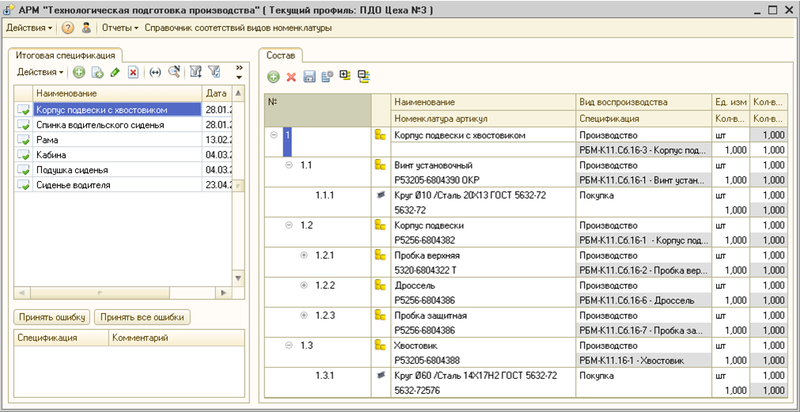 Providing operational information about the real state of implementation of the production plan for making management decisions, with the possibility of updating data.